It is another Yokosuka specialty. And it is based on a recipe of US Navy. You can eat it around Yokosuka-chuo at the fast food shops and restaurants. It is heavy food, and tastes good. Dending on restaurant, there are many kind of burger. Right photo is sold at one fast food shop on Dobuita street. This food is called "George Washington". When you see this photo, you may feel it small food. After I ate it, I was full! 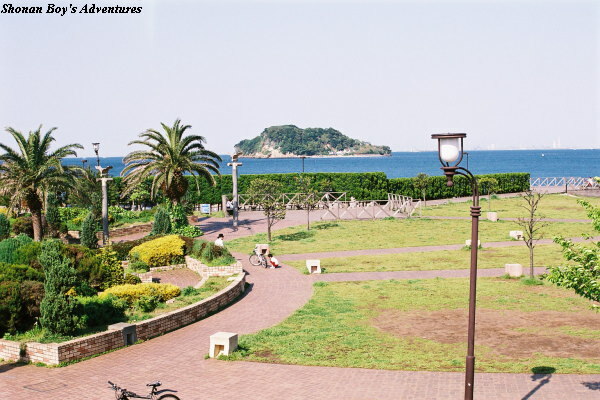 This park is located by sea, and visitors can see Sarushima (Monkey Island) close to this park. Some people enjoy roller skating, skateboarding and mountain biking. 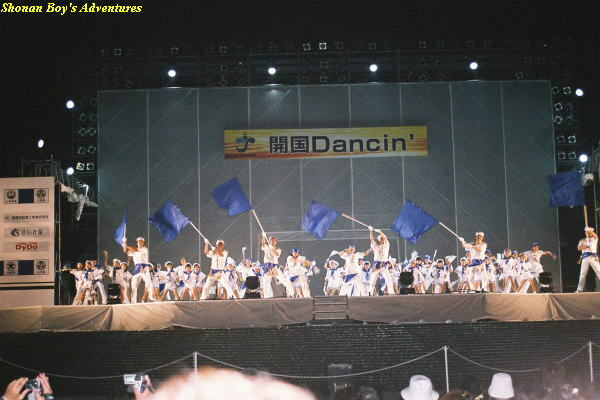 This is the center of "Yokosuka Kaikoku Festival", there were so many people during fire works. 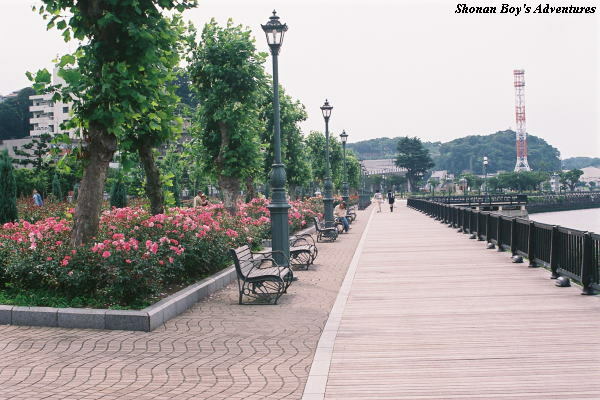 Near it, there is a big shopping center, and visitor will be easy to have lunch or dinner. 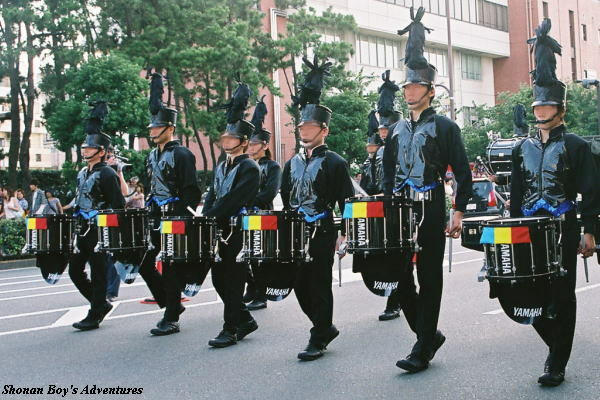 Though there is a parking lot, it will be closed when Yokosuka Kaikoku Festival is held. From "Kenritsudaigaku" station of Keikyu line, 10 minutes walk. From "Yokosuka-chuo" station of Keikyu line, 17 minutes walk. 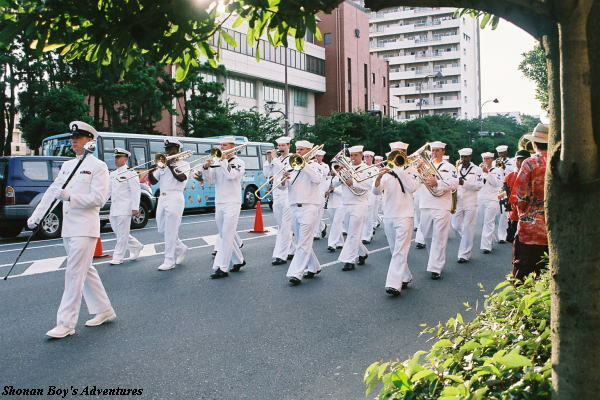 This street is by USA Yokosuka Naval Base. 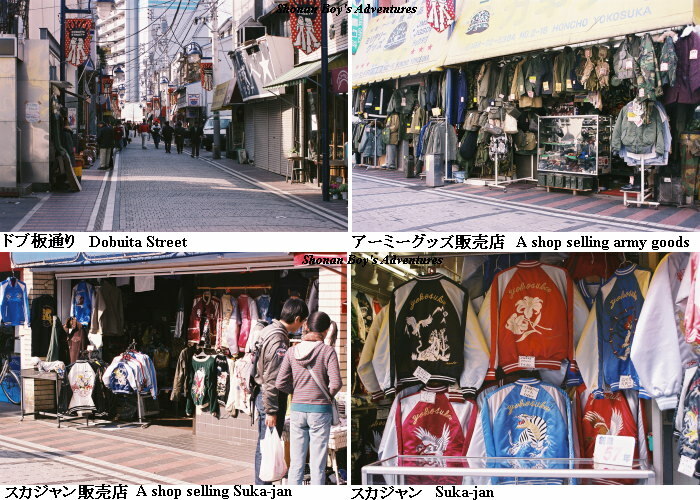 There are many shops such as "army goods", "clothes for Hip Hop", "emblems", jumpers called "Sukajan (a shortern word of Yokosuka Jumper)", etc. Suka-jan is another Dobuita Street specialty. From "Yokosuka-chuo" station of Keikyu line, 10 minutes walk. From "Shioiri" station of Keikyu line, 3 minutes walk. From "Yokosuka" station of JR Yokosuka line, 10 minutes walk. 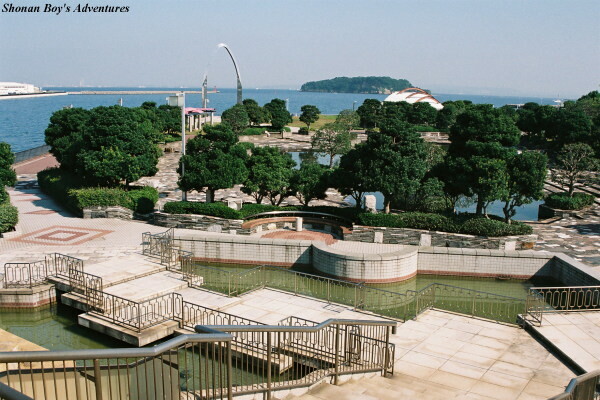 Visitors can see "USA Yokosuka Naval Base" and "Japan Maritime Self-Defence Force" close to this park. It is beautiful because there are many roses, also night view is good. 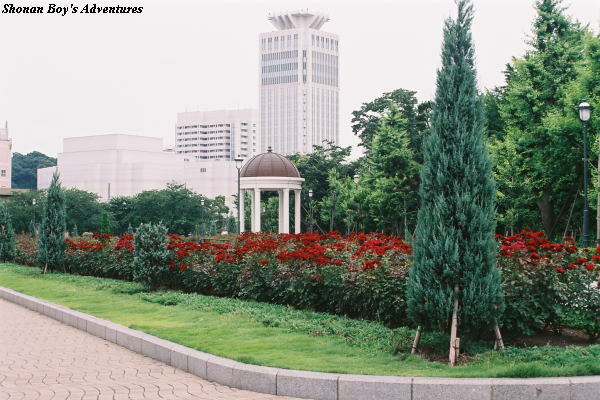 Near it, there is a big shopping center, and visitor will be easy to have lunch or dinner. From "Yokosuka" station of JR Yokosuka line, 1 minute walk. 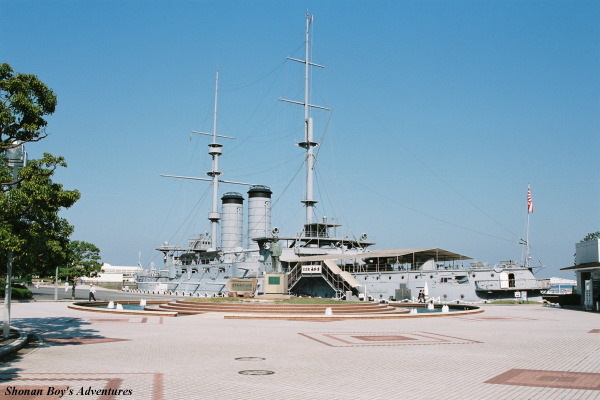 of commemorate naval ship There is the memorial battleship "Mikasa", fountains, and square. 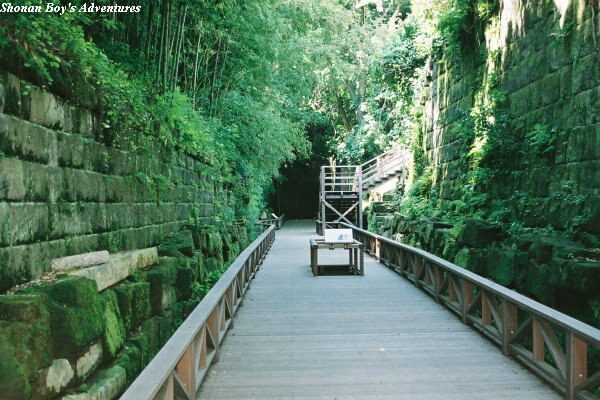 Visitors can go to Sarushima (Monkey Island) by ship. 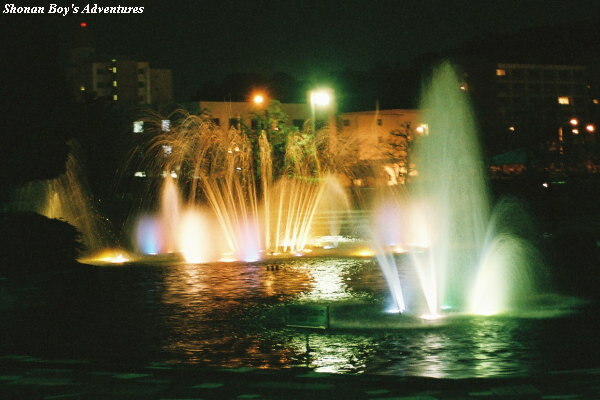 Fountains are adjusted with music, and lighted up during night. It is the one of "City Park Select 100". Please check the business time and holidays before you visit. From "Yokosuka-chuo" station of Keikyu line, 15 minutes walk. From "Shioiri" station of Keikyu line, 15 minutes walk. From "Yokosuka" station of JR Yokosuka line, 20 minutes walk. From "Yokosuka" station of JR Yokosuka line, take the Keihin Kyuko Bus (Keikyu Bus) bound for "Kinugasa Station via Zeimusho", and get off at Odaki-cho bus stop". And 7 minutes walk. 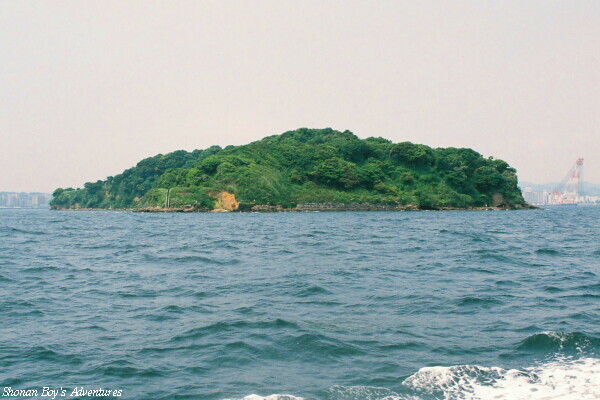 Once Sarushima (Monkey Island) was fortress. 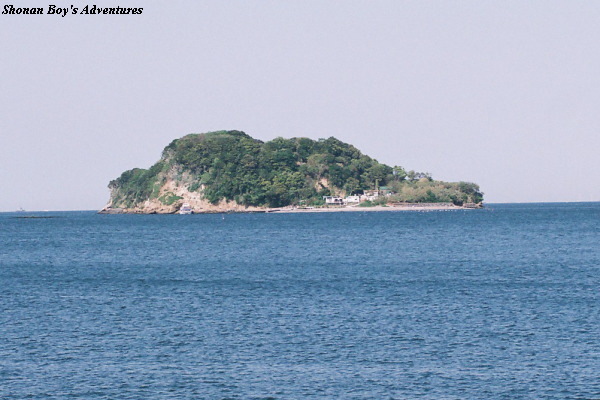 At present, this island was changed into for sightseeing. Also at present, visitors can see the remains of fortress. 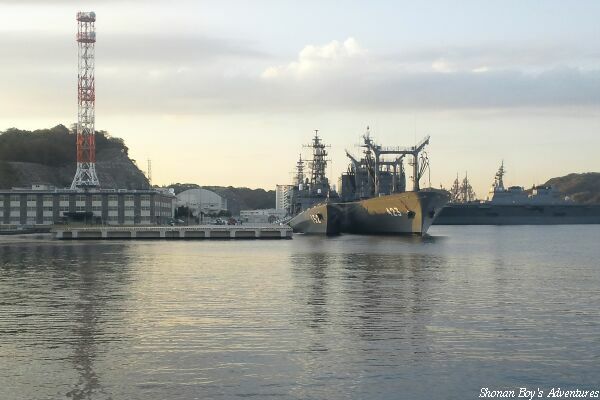 American people who are living in Yokosuka call Sarushima "Monkey Island". Surprisingly, there is no corner on turban shells around Sarushima. Please check the ship schedule before your visit. 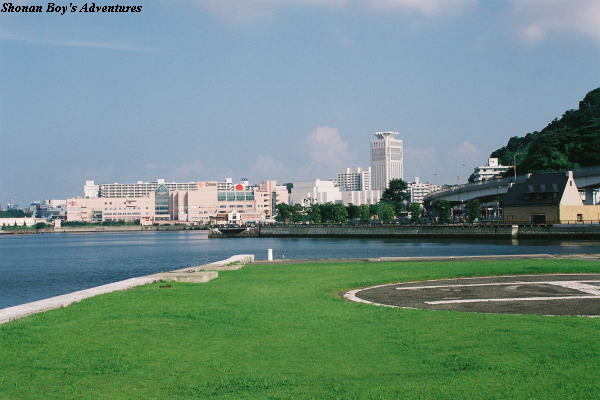 From "Yokosuka-chuo" station of Keikyu line, to Mikasa pier, 15 minutes walk. And 10 minutes ride by ship bound for Sarushima. This ship operates daily from March through November, but does only on Saturdays Sundays & Holidays from Decemver through February. From "Yokosuka" station of JR Yokosuka line, take the Keihin Kyuko Bus (Keikyu Bus) bound for "Kinugasa Station via Zeimusho", and get off at Odaki-cho bus stop". And 7 minutes walk. Then the same as above. From only this ship, You can see Yokosuka Main Port of "US Yokosuka Naval Base", and Nagaura Port of "Japan Maritime Self-Defense Force". Please check the ship schedule before your visit. From "Shioiri" station of Keikyu line, to Shioiri pier, 3 minutes walk. From "Yokosuka" station of JR Yokosuka line, to Shioiri pier, 8 minutes walk.